'S e fior dheagh oidhche a bh'ann dhan SNP as na sgìrean pàrlamaid fa leth. Rinn iad a chùis ann an Gallaibh, Caitibh agus Rois, Sgìre Inbhir Nis agus Inbhir Narann, agus as an Eilean Sgiathanach, Loch Abar agus Bàidneach, far an deach Kate Fhoirbeis a' thaghadh dhaibh. 'S e sgeul eile a bh'ann ge-ta air liosta na Gàidhealtachd 's nan Eilean ge-ta, far an d'fhuair na Tòraidhean trì suidheachain, na Làbaraich a dhà, agus an SNP agus na h-Uainich aonan an urra. 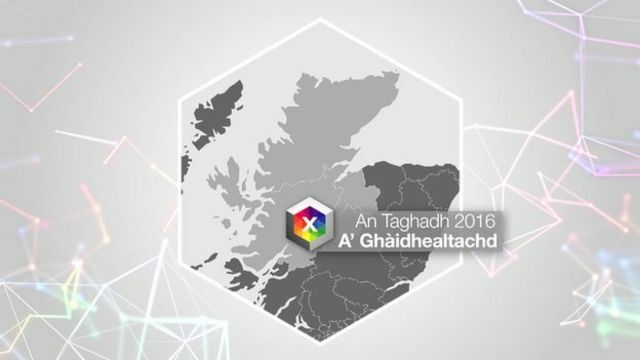 Le tuilleadh air suidheachadh na Gàidhealtachd, seo Calum Macilleathain.